Just discovered this magical gem today. 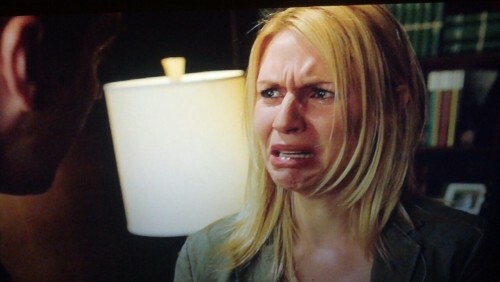 An entire tumblr dedicated to Claire Danes Cry Face. I’ve always found a strange reassurance in Claire Danes’s unpretty cry face. Perhaps because I feel our faces look very similar when we cry. She is the one who always comes to mind when I try to think of hollywood stars that cry like real people. The scrunched chin, twitching, snot running, etc. So check out this tumblr for a bit of fun or have yourself a good cry in great company.